Thank you to Yves Gélinas for this guest post. 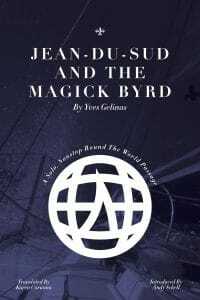 His new book, Jean-du-Sud and the Magick Byrd, is a translation of the memoir relating his circumnavigation. I had returned almost penniless from a summer cruise with my daughters in the Stockholm Archipelago and found work in a yard in Brittany. 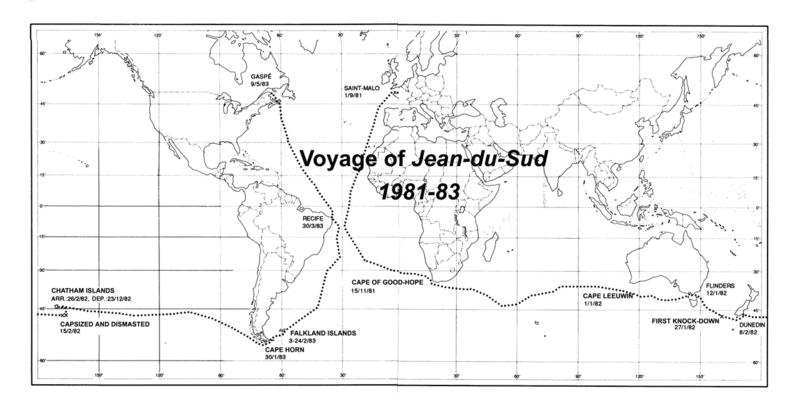 Confident this axiom would verify: If you are deeply convinced that you must do something, it becomes possible, I started to prepare Jean-du-Sud for a long voyage in the Southern Ocean. Having previously worked in cinema, I would shoot film as I sailed. Three years later, I sailed from Saint-Malo in France, headed for the Gulf of St. Lawrence the other way around the world, via the Southern Ocean. I rounded Good Hope and Cape Leeuwin, but was capsized and dismasted in the Pacific and I landed at Chatham Islands under jury rig. I spliced and re-stepped the mast, sailed around Cape Horn, and landed in Gaspé after 28 200 miles in 282 sailing days. I recount this leap of faith in Jean-du-Sud et l’Oizo-Magick, a book published in Québec in 1988, then in France in 1996, now out of print. Latest contribution from the Magick-Byrd, it is translated in English by Karen Caruna 35 years later and published by Annapolis-based 59 North Sailing. 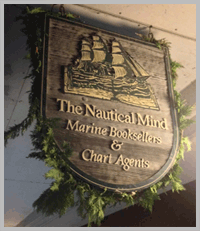 Bruce will be signing copies and answering questions at the Nautical Mind Bookstore (108-249 Queen’s Quay W. 416-203-1163) on Saturday Nov. 25 from one to three pm. They make great Christmas presents so please come down and join us for an interesting afternoon. 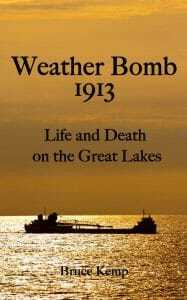 Thank you to author Bruce Kemp for this blog about his new book Weather Bomb 1913: Life and Death on the Great Lakes, which is about the 7-10 November 1913 hurricane and blizzard that destroyed 19 ships and damaged 19 others on four of the Great Lakes. This is a fantastic book that combines the feel of a nautical thriller with local history, colourful anecdotes and insights into Great Lakes weather. Disasters don’t just occur on the far side of the world and they are more than what we read about online or see on television. They happen every day to people like you and me and become tangible events hanging over us with stories spanning generations. 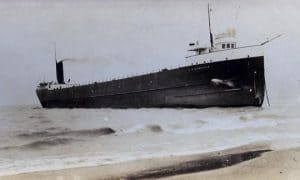 For millions of Canadians and Americans growing up around the Great Lakes the Weather Bomb, that 1913 hurricane which killed so many people and sank so many ships, still resonates. 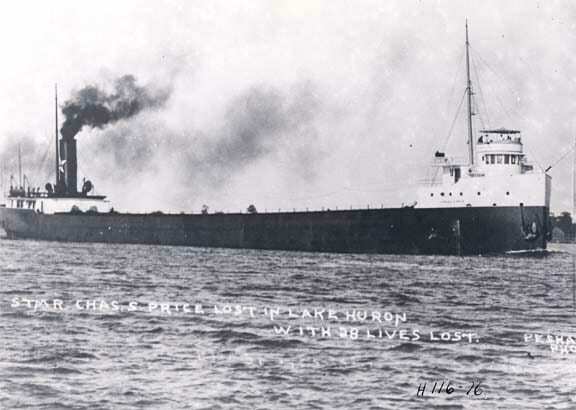 Coming from Sarnia, the Storm was always a part of our background noise, but it wasn’t until I became a scuba diver and visited the wreck of the submerged Charles S. Price that it came home to me. Right away I knew it was a story in need of a good telling and I began what eventually became 40 years of research and writing – becoming a Ulysses on what turned into as much a personal odyssey into our history as it did a great story to write about. I didn’t realize when I set out that there were a number of people who survived the blow and wanted to tell their stories. Some of the tales were by people who were directly involved with the devastation and others came from folks who vividly remembered the horrendous weather system and it they meant to their families. 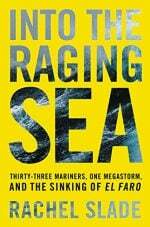 As proof the hurricane is still a factor, in interviews with modern ship captains, I learned they keep the Storm in mind when planning fall voyages and professional weather men study the causes and impacts to better prepare us for the next time the Witch of November comes storming in from the west. 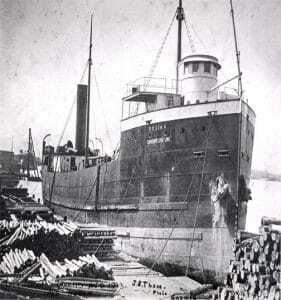 SS Charles S Price, after the storm. Here at the Nautical Mind, we have books written by all kinds of perspectives. Many of our books are by experts like Nigel Calder and are filled with technical details. Others, like the book I’m going to talk about today, are the the product of hard experience, but are written for those without advanced technical training. 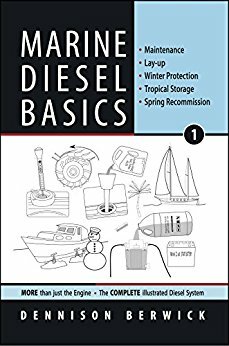 Marine Diesel Basics by Dennison Berwick is a brilliant book that should be part of the boat’s library for everybody Canadian sailor who has a diesel engine aboard their boat. 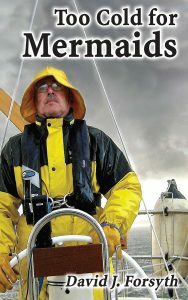 Dennison Berwick is an experienced Canadian sailor, and this book is borne of his hard-won experience aboard Oceandrifter. This book specifically targets many aspects of diesel engines, from ongoing maintenance, to winterization, re-commissioning in the spring, and preparation for long-term storage. It is very specifically targeted to diesel engines- and doesn’t cover other topics. But this is absolutely fine because this should be the only book on diesel engines most people should need. Frankly, it seems that if there issues you can’t address with this book, they are probably ones that you should seek professional mechanical help for anyways. For day-to-day maintenance, and for the seasonal maintenance requirements, this book is really well laid out. It considers the diesel engine as a system. 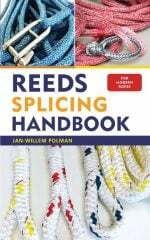 The book is divided into three main sections: Maintenance, Lay-Up, and Recommissioning, and each section contains many individual processes. Although this book doesn’t have many photographs, each process has a number of illustrations. These, for example, show the reader what the process they’re doing will generally look like. And further, visual clues of good things and bad things to look for. When it comes to maintenance for example, it provides examples of both what is to be expected, and then lists of alternatives and necessary actions. 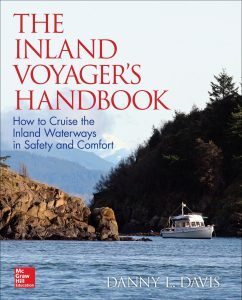 Overall, this book is highly recommended for anybody who has a diesel engine aboard their boat. 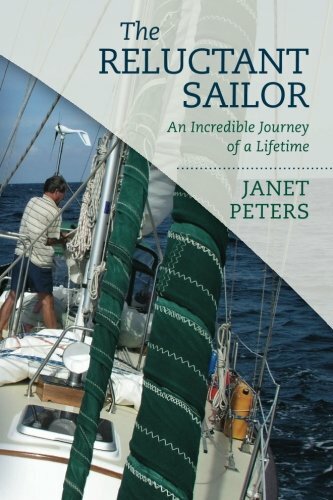 Thank you to Janet Peters, author of The Reluctant Sailor, for this great guest blog. This blog provides some context for her excellent book. I live in a small town on the shores of Georgian Bay. The area is commonly known as the Georgian Triangle comprising Meaford, Craighleith, Collingwood and Wasaga Beach. In this area, we have a number of artists, sculptures, and writers. It is here that I started writing my book, The Reluctant Sailor. In our local library the CEO of the library started a writers group which meet twice a month. During the time it took me to write the book I met a number of would-be writers. We helped each other by reading passages from our writings and giving help and encouragement. This is one way a new writer keeps going and not giving up. After seven years I finally finished my book. It is also here that we started sailing on Georgian Bay. We had a 27 foot Mirage, a Canadian sailboat made in Quebec. My husband, Al, enjoyed day sailing from Collingwood into the bay and beyond. 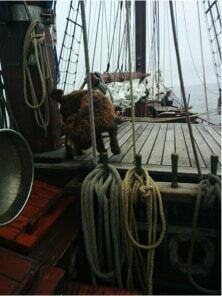 I didn’t like the boat as much since there was no proper galley and I was told to sleep in the V berth. Just under the V berth was the holding tank. One can imagine that the air above the holding tank wasn’t as fresh as one would like. 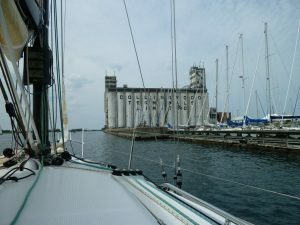 I did take a few sailing trips beyond Collingwood: North Channel for one. We also practiced my first overnight passage on Georgian Bay to prepare me for our eventual voyage. I was asked one time to compare sailing on the Great Lakes or on the ocean. My answer was the ocean since the lake waters were choppier due to a shallower depth, and we didn’t have rocks to worry about. We had no instruments on our small boat to measure weather and bad weather came up quickly. Because of the time my husband sailed with our Mirage and loved it, he became convinced that once retired he would buy the best yacht he could afford and sail around the world. Of course, this meant a great deal of disruption: selling a house and moving away from all my life in the city. You can imagine my reluctance resulting in a lot of persuasion on my husband’s part. Our eventual sailboat 42-foot Cabo Rico was a class above any day sailor. We had so much electronic and safety equipment that I couldn’t help feeling more secure and comfortable compared to the Mirage. My husband agreed to buy the Cabo Rico for that reason. He wanted to make sure that I was going to be happy and safe. During our six years sailing that wasn’t always the case. In spite of our naïve expectations about this endeavor we went ahead with all the necessary planning and five years later set out from Collingwood to pick up our new yacht in Fort Lauderdale on a very snowy January day. It would be fair to say that Sailing dominates the shelves here at the Nautical Mind. 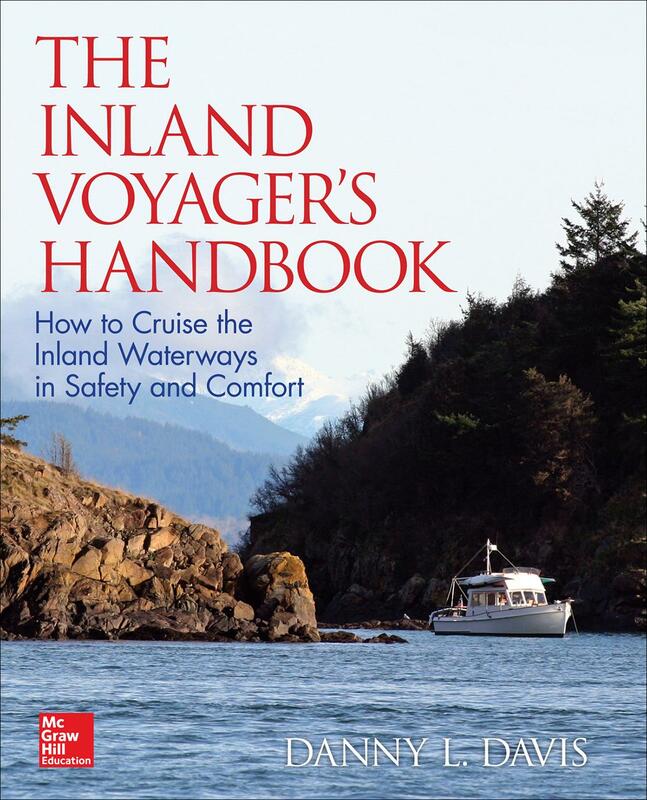 This fall however, we have two fantastic new books coming out specifically for motorboaters and motor cruising. 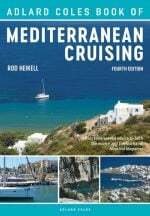 This is the companion book to the fantastic and very popular Stress-Free Sailing. There are many actions and evolutions aboard a motorboat that require two or more pairs of hands, and are complex. When boats are crewed by a single person, or there are inexperienced people or children aboard, events such as leaving or returning to the dock, using canals, navigating, or dealing with emergencies can be particularly stressful. In this book, Duncan Wells discusses these kinds of scenarios. Text is accompanied by step-by-step photos and illustrations that show ways in which these operations can be done single-handed or shorthanded. 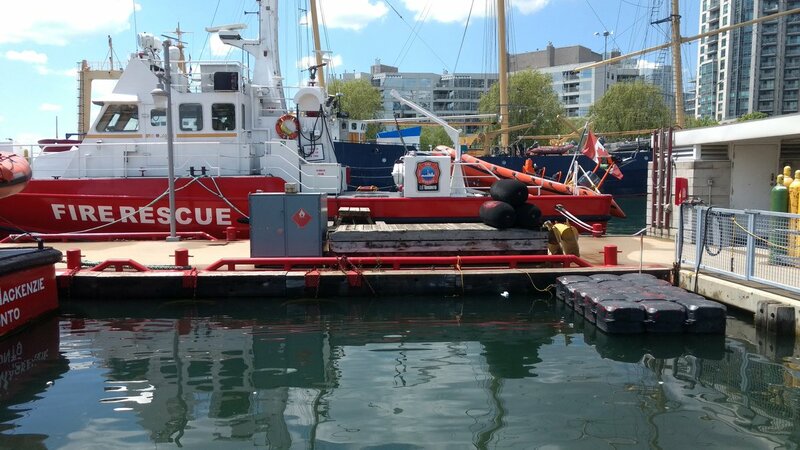 Further, he addresses things like the difference between controlling boats powered by different types and numbers of engines, and managing man-overboard situations. 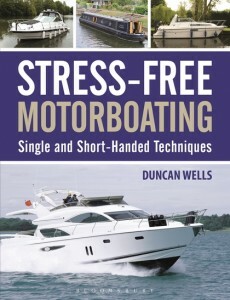 This is a book that everybody who owns a powerboat should have in their library. 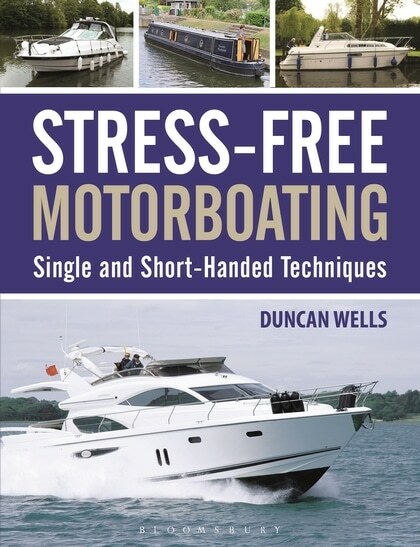 Whether it’s your first time, your first powerboat, or you’re experienced this is a great book to help substantially reduce your stress when aboard. Thank you to Nautical Mind staff member Robin Leaver-Fraser for this guest blog about her recent experience above the tall ship Atyla, which is visiting North America as part of Canada’s sesquicentennial celebration. Tall ships from around the world have come to Canada to participate in the Rendezvous 2017 festival hosted by Sail Training International which celebrates Canada’s 150th birthday. I was able to join a Spanish ship, Atyla, on a leg of their journey. Atyla is a two-masted wooden schooner which was hand built and launched in 1984 with the goal of sailing around the world. This goal was never fully accomplished and the ship was repurposed as a sail training vessel in 2013 by the current captain and nephew of the original builder. 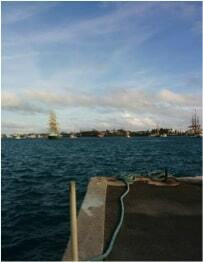 I joined the ship on June 4th in Hamilton, Bermuda and stayed until the next event in Boston. Although the intention was to leave the next day, dangerous winds postponed the race keeping all the ships at anchor in St. Georges for another few nights. Finally on the 9th the race began and the ships sailed onto the open ocean. 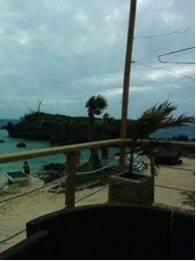 Bermuda faded quickly from sight and within a day there was no land left on the horizon. It was another eight days of sailing before we could see Boston in the distance. While sailing the crew was split into 3 watches who took turns being awake and on watch for 4 hours, then off watch for 8. Aside from being on watch, our time was filled with lessons given by the permanent crew on board. The subjects of these lessons included knots, seamanship, engineering, sail handling and navigation as well as daily character development workshops led by the ship’s professional ‘Coach’. 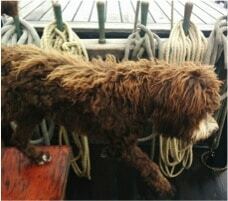 You could also spend your time playing a never-ending game of fetch with the tireless ship dog Olivia! We arrived in Boston on the 17th and participated in a Parade of Sail with over 50 other ships watched by massive crowds along the waterfront. It was an incredible end to an incredible experience. Want to learn more about Atyla and become a trainee? Check out their website here. 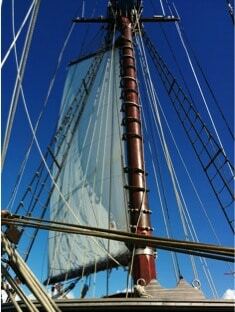 Want to learn about Sail Training International and how to Sail On Board? You can find that information here. Greetings and Salutations! As we wind our way towards the fall, we have some great new books that we’d love to share with you. 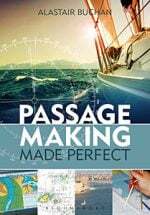 This is a story of attaining and living the sailing dream, and also of disappointment, defeat and the surprising realities of cruising aboard a sailboat. Forsyth describes how he became a member of the local sailing community, acquired the skills, and found the funding to select and equip his own boat. 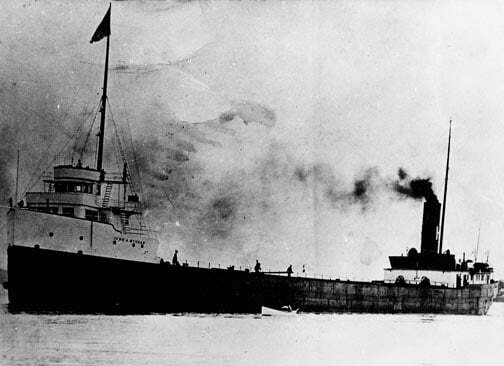 As a crewmember aboard others’ boats, and then as skipper of his own “Alice Rose”, Forsyth recounts his experiences on the Great Lakes, the St. Lawrence River, and the North Atlantic from Labrador to Florida. Being persuaded to give up her busy life in Toronto, sell her house and move into a sailboat, Janet Peters began a journey of adventure for six years. Circling the world with her husband on “Solara” she encountered many storms, sailed on immense bodies of water weeks at a time, and saw small isolated islands that only sailors on small boats could reach. 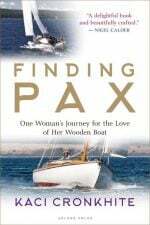 She learned how well her boat could handle rough seas and high winds, overcoming her fears, and learning to be an important partner to her husband especially during their struggle through the Gulf of Aden and the Red Sea. In the next few weeks we’ll have a blogpost from Janet about this book and her experiences. Canadian Captain Joshua Slocum was the first man to ever sail alone around the world. 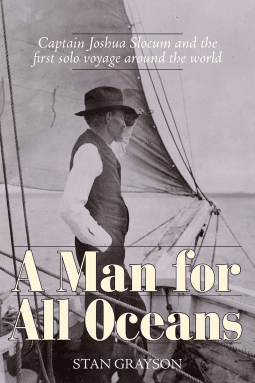 This is the most comprehensive biography of Slocum ever published, and the first written by a small-boat sailor. Author/historian Grayson uncovered previously unknown original source materials to shed new light on one of history’s greatest sailors. A fascinating appendix compares “Sailing Alone Around the World” with Thoreau’s “Walden”. Previously unpublished photographs bring Slocum’s world to life, and detailed maps trace the adventures of a sailor who knew the world like the back of his hand. This biography reads like an adventure narrative and will serve as the standard work on Joshua Slocum for years to come. As we’ve discussed previously Canadian law requires people to carry charts aboard their boats. When you’re following the law (and I know that you all follow the law!) this means that you have to find some way to store your charts. The most optimal way to store your charts in a chart table (like we have at the store) or even a smaller version. This allows them to be stored flat (or folded, depending on the size), in an organized way that will allow you to retrieve your charts easily and protect them. However, this is impractical for most people and most boats. So, the other options are to roll your charts, or to fold them, and then to protect them. There are several options. One option is to roll them, and put them in a tube. This could be a cardboard tube, however these are not waterproof. Other options include this one and this one. 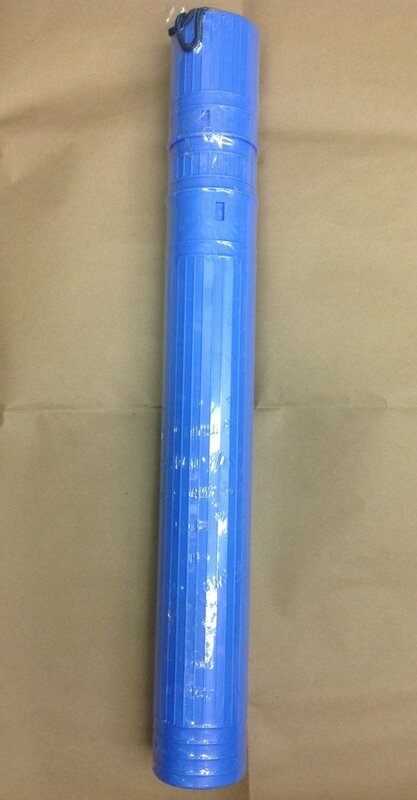 These plastic tubes all have the same benefits- a tough material that is usually waterproof. 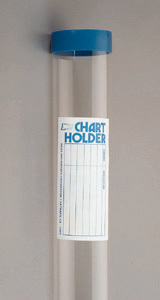 However while rolling charts can be an efficient way to store them, if you have multiple tubes it can be awkward. More importantly, you’ll need to remove all the charts from the tube in order to get one, which means they’re difficult to use on the fly. Further, the charts may be difficult to keep flat on the table. The other option is to fold your charts. Now a standard chart, when folded properly (so that the chart number is visible in the corner) fits in a No. 7 shipping envelope, with internal measurements of roughly 14″ by 19″. Charts do not use that entire internal volume, but that’s the size to shoot for. There are a number of pre-made options. Richardson’s does a pouch/clear envelope that fits their chartbooks perfectly, and there are vinyl covers for 18″x24″, and 24″x36″. However, there are other options. For example, Ziploc makes bags which are water resistant (but not waterproof). The XL and XXL sizes are large enough for folded. charts. These also have the ability for you to use the chart and keep it protected. These solutions should allow you to protect, and keep on using your charts. Since times immemorial, the canoe has been an enduring symbol of the spirit, identity, skill, imagination and knowledge of the First Nations People. It was an essential means of communication and transportation, not only for the First Nations, but for the European settlers who came to this country, a land where the only roads were lakes and rivers, distances were far, and portages were many. If ever there was one single invention that made the exploration of Canada possible, it was the canoe. 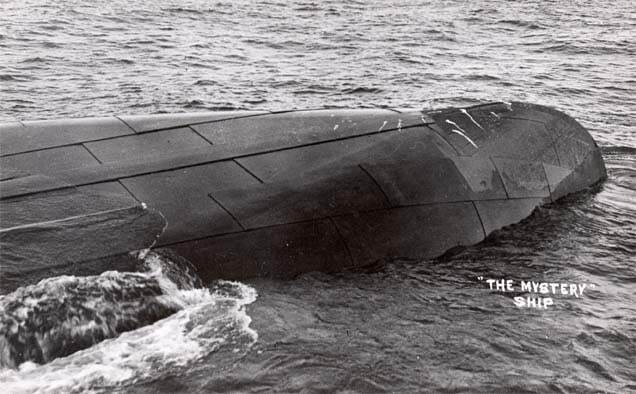 It was a vessel perfectly adapted to meet and overcome the challenges of our geography, with speed, grace, and practicality. 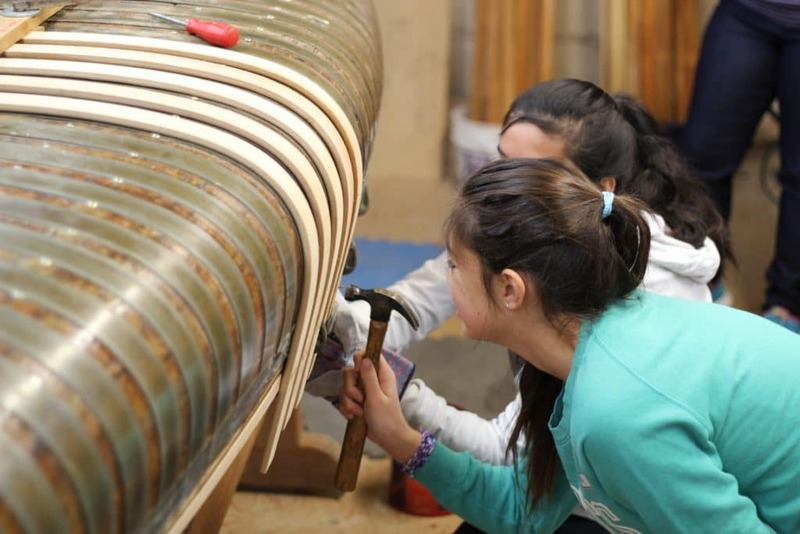 In a project designed to foster a spirit of reconciliation between the First Nations and Canada’s non-indigenous peoples, teen members from The Canadian Association of Girls in Science, and students from The Etobicoke School for the Arts worked together to create a professional grade Legacy Canoe. Their work was guided by the mentorship of three adult Master Boat and Canoe builders, with additional encouragement provided by a Golden Retriever named Rover! 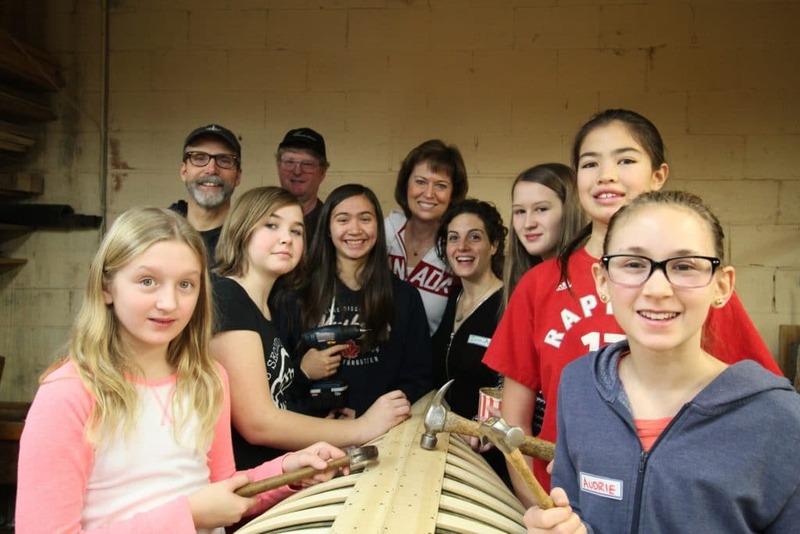 By engaging their hands, hearts and minds, the construction of the Legacy Canoe has allowed the youth involved to discover how much value a canoe truly represents – in terms of the skill, ingenuity, and sense of practical and spiritual beauty which the First Nations demonstrated, every time a canoe was launched on Canada’s rivers and lakes. In that process, an essential part of our heritage was brought to life, as a symbol that brings cultures together in the present, just as it did in the past. The physical work of building the canoe was completed by the teen members of The Canadian Association for Girls in Science, while the artistic work on the design and painting of the hull was created by students from The Etobicoke School of the Arts – whose students submitted almost 400 proposals for the hull decorations! The winning artistic design was based on the concept of the flowing lights of the Aurora Borealis, but the fluidity of the many colours involved could also be seen as a quiet symbol of the diversity of our country, flowing together with a vitality that moves in a common direction. 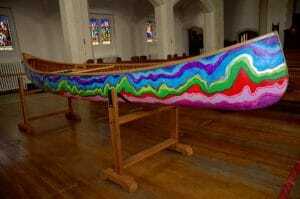 Upon completion, the Legacy Canoe was blessed by Whabagoon (Flower Blooms in Spring) Patti Phipps Walker, an Ojibway Elder. The Legacy Canoe will be launched on Sunday, 25 June 2017 at the National Yacht Club in Toronto, starting at 5:00 p.m. This Canada 150 Project was an initiative of the Broad Reach Foundation for Youth. Videos showing the construction of the Legacy Canoe can be viewed at here on projectcastline.ca. For additional information, please contact info@sailbroadreach.ca. or Marguerite Pyron, Executive Director, at 416-850-5755. After last year’s near-drought, May this year had twice as much rain as average. 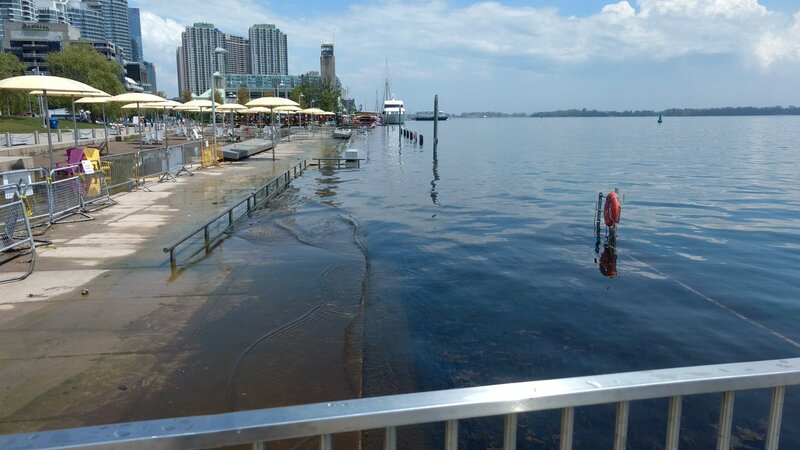 This resulted in flooding all over Toronto Island (which is closed to visitors until the end of July), as well as in Montreal and upstream. Lake Ontario is much higher than normal. The staff here at the Nautical Mind have taken some photos to demonstrate. 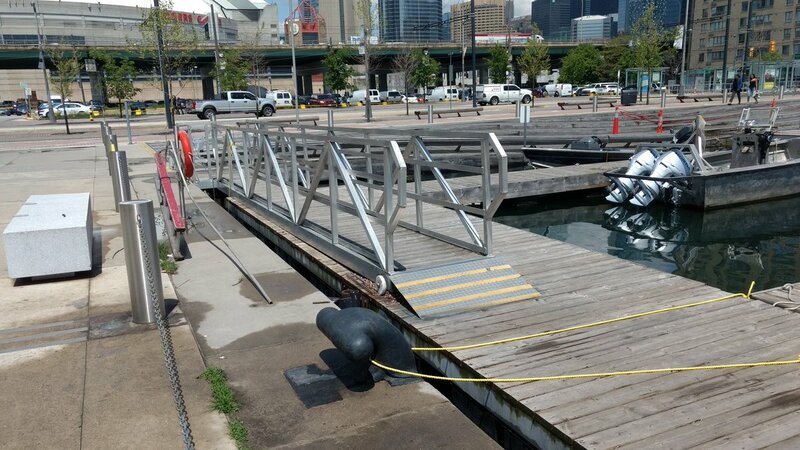 This is part of the walkway (the WaveDeck) between the store and HTO park (where the Toronto Brigantine shop used to be. That wet area is actually awash. 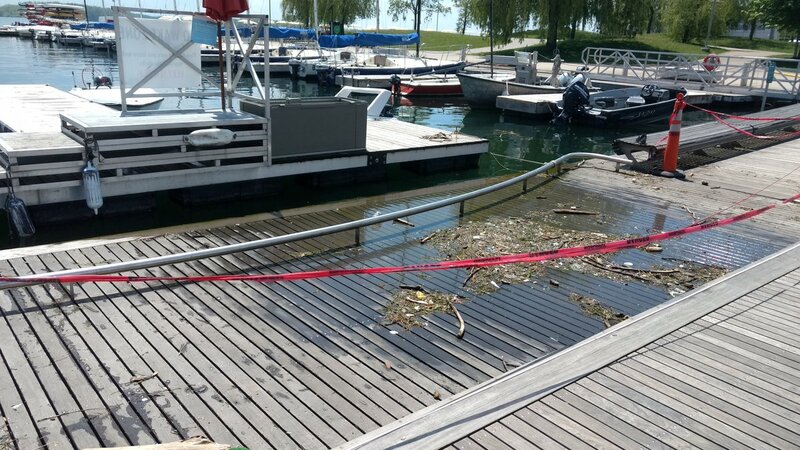 This is the ramp down to the docks, and it’s effectively level. The Fire Station is off camera to the left, with the store to the right. This photo was taken standing near the Fire Station, looking back towards where the Brigs shop used to be. The entire beach I believe was added after Brigs left, with the step being the edge of the old pier. The concrete on which people walk is awash here. Our final photo is just a bit of fun. This was taken from next to the Fire Station. The water level is so high that the station has set up a picnic table to allow crew to board the boat in the background. We definitely could use some relief from the rain around Lake Ontario.